James Harold “Jim” Hamby was a football coach at Southeast Missouri State University and a brilliant, very popular professor of philosophy at Southeast from 1968 until his death in 1986 at the age of fifty-five. He studied birds, taught himself the art of watercolors, and gave more than 300 of his beautiful and detailed creations to other faculty and friends. Hamby would paint the picture first, then write an essay to accompany it. The relationship between his artwork and writing shifted as the occasion or his inclination suggested. 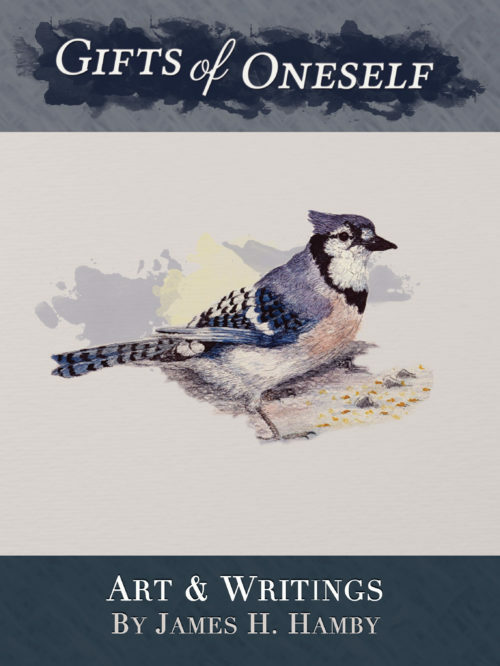 Some of his entries are about the bird he painted and its sighting; other entries are philosophical musings about life, friends and family, nature, or the arts. Gifts of Oneself: Art and Writings by James H. Hamby represents a lasting word and image celebration of a talented man, well loved by his family, friends, and community.